The prototype shield has power led and a switchable led and also a reset button and switchable button. Prototype shields can be used to eealise all sorts of projects. 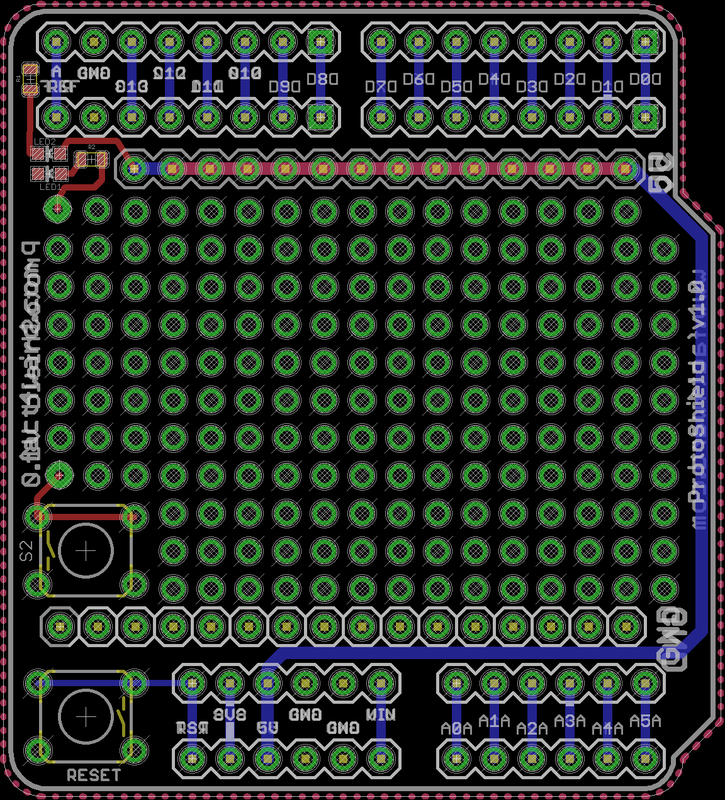 This one uses SMD technology for the LED and the resistor so that more space is available for prototyping. 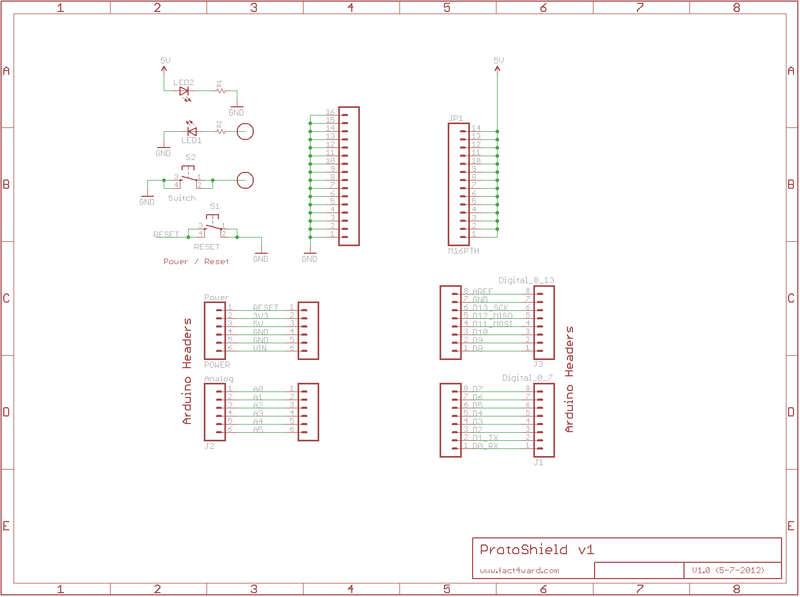 Below you can see the schematic and board layouts of this shield. Its all rather simple. Of course the layout matches the classic arduino design so that you can use it with all recent arduino models. The prototype shield uses the arduino power so you dont need to make a separate power supply.